Generation clash is still up-to-date term. We meet it in a few fields. Including tuning. 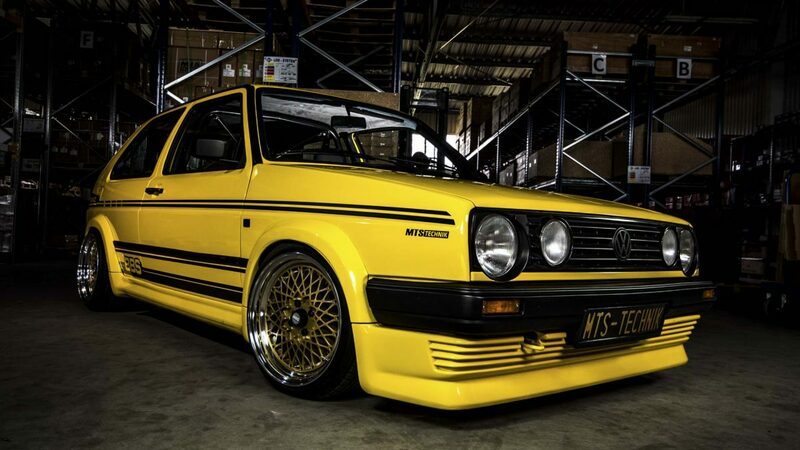 The second generation of VW Golf has a status of a cult car for a few years. This car has a group of young fans, bringing their cars to perfection. You can see lots of examples on car events all over Europe. Here’s one of them. 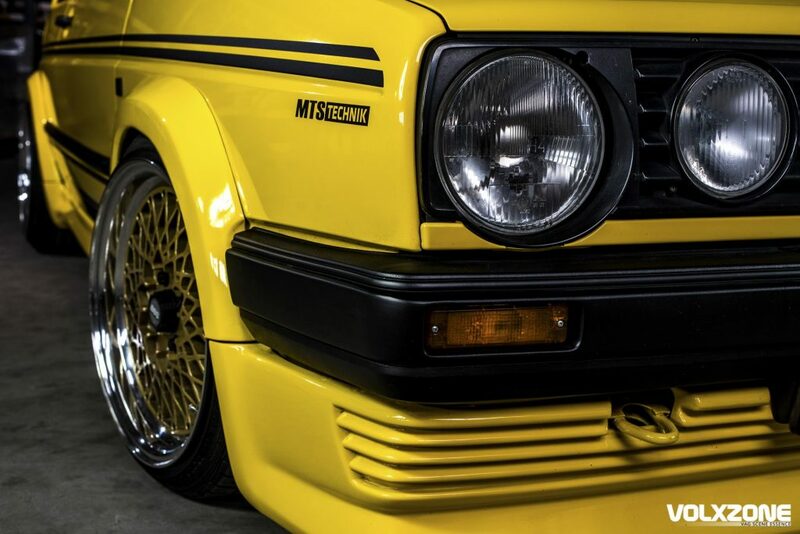 When the idea of building a project based on Mk2 was born, the main concept was already stated – it has to be good and eye-catching. General look was supposed to refer to the ages when this model was launched. And mechanics had to follow modern trends. And that’s how RetroRacer was born. The body received full BBS body kit. 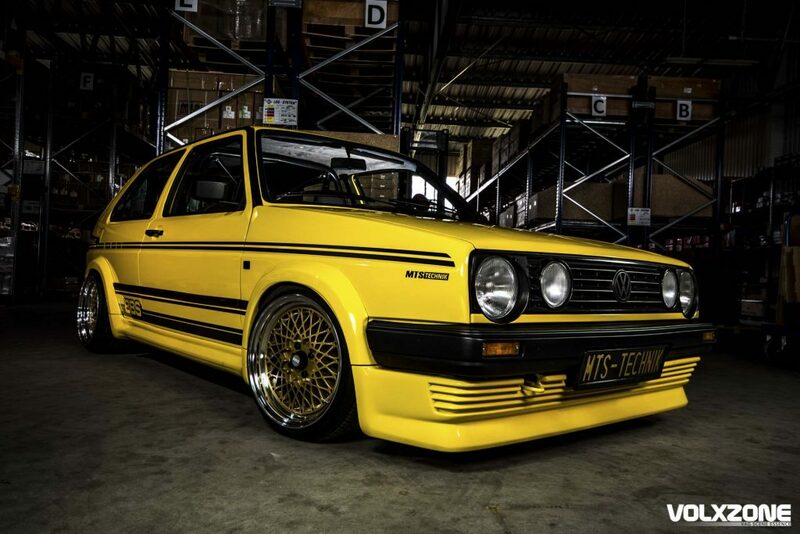 Front and rear spoilers and massive wheel arches gave a lot of massiveness to the well-known shape of Golf. This decision resulted in the need to take further steps, necessary for making a complex work. Wider wheel arches have given more space for the wheels. Nevertheless, the choice was limited. Because of the general concept, this car had to have multi-piece rims. The final choice was the best option for the body kit. 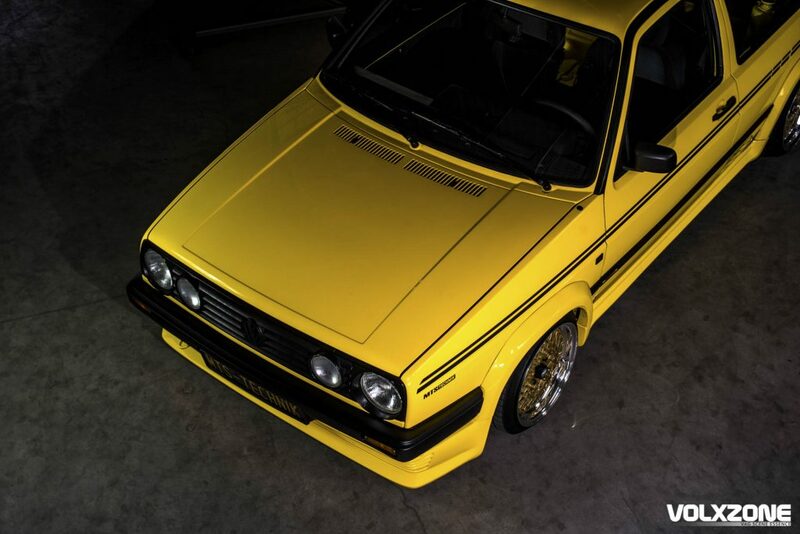 3-piece BBS E50 suit perfectly to the rest of car, branded in BBS details. 16” wheels are 8,5” and 9,5” wide. …and not only from the outside. A racing-themed car doesn’t need such cliches like rear seats. It was replaced by a battery. You can only see perfectly painted rear end of the car, roll cage and top mounts of shock absorbers. A supplement for racing style are subtle stickers on the body. 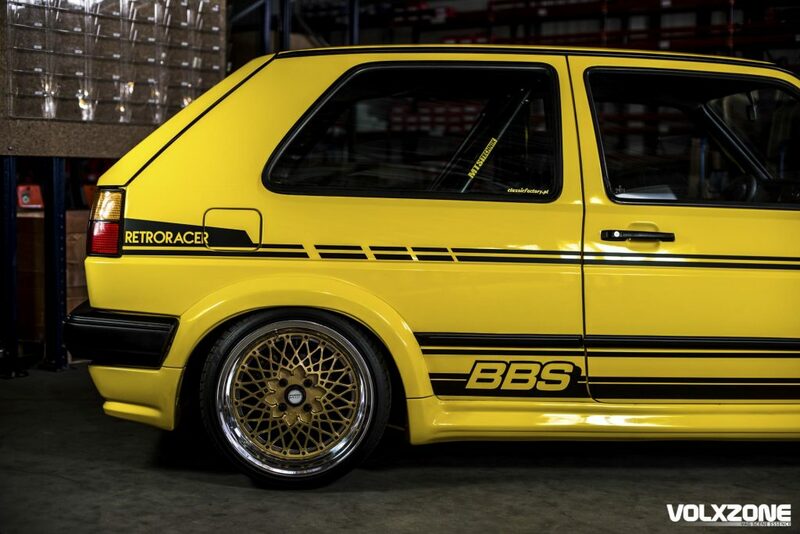 You can see RetroRacer, BBS and MTS Technik logos. 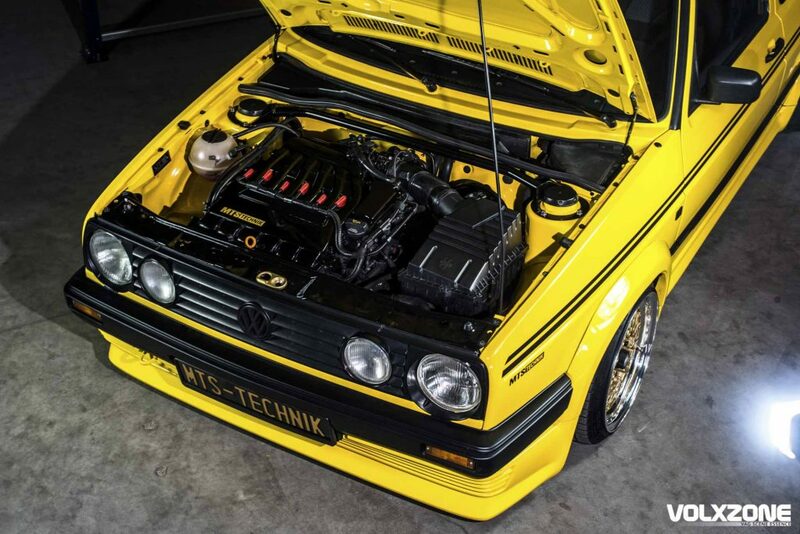 With such preparation this VW was ready to win show&shine contests. The „meet the era” concept was closed. So there was only „modern technology” part left. The biggest confusion takes place under the bonnet. 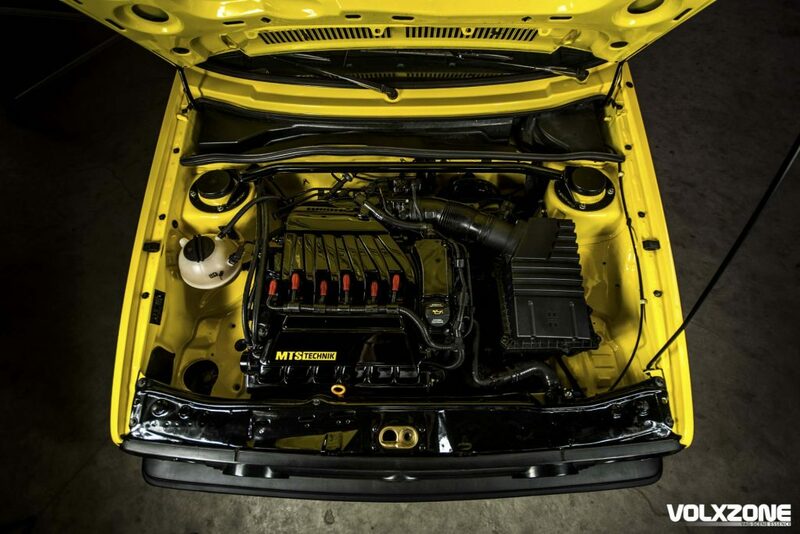 The R32 engine was put into the engine bay. And what is most interesting – it is combined with DSG gearbox! Massive NA engine, in a light car, combined with a two-clutch automatic gearbox. You can say it is a perfect combination. But it has one huge drawback – weight… Heavy engine doesn’t effect on the performance, because this car has even to much power. But summing up the weight of R32, and DSG gearbox results with a hard work for the suspension. 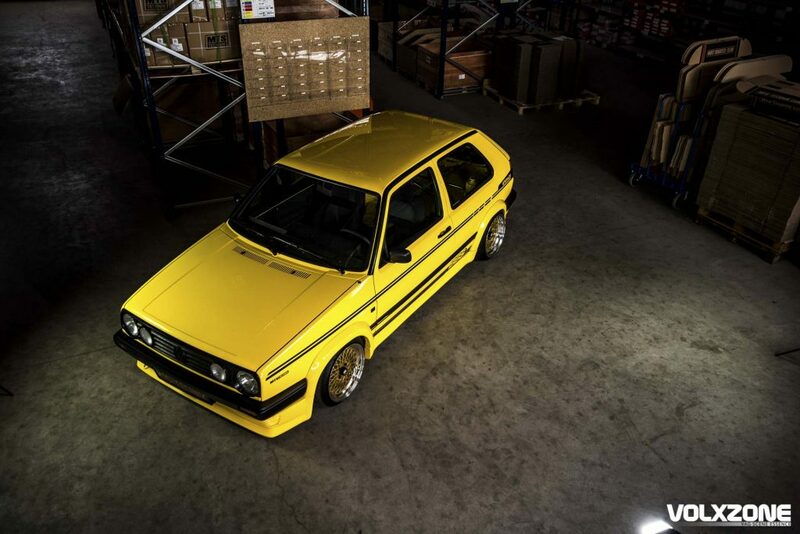 Weight laying on front axle of the car is much higher than it was ever thought 3 decades ago, when Golf Mk2 was produced. And the other side, the rear end of the car is much lighter than stock. Such combination can be even dangerous on the road. 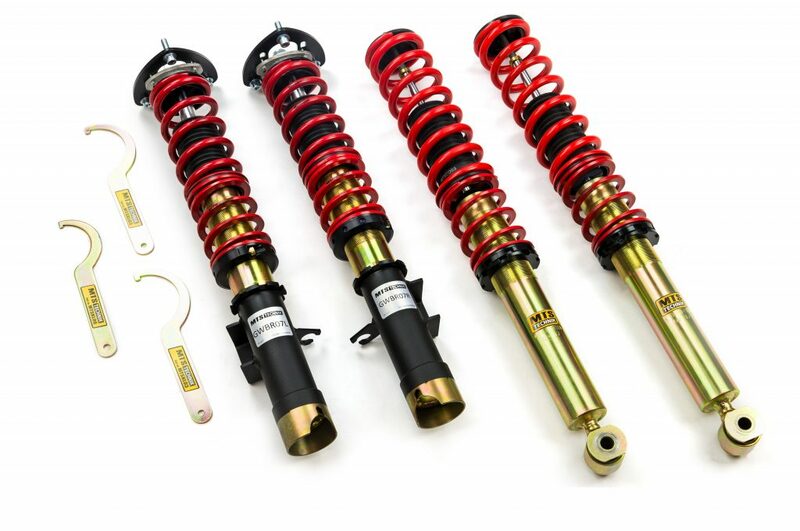 The only solution is a set of coilovers. 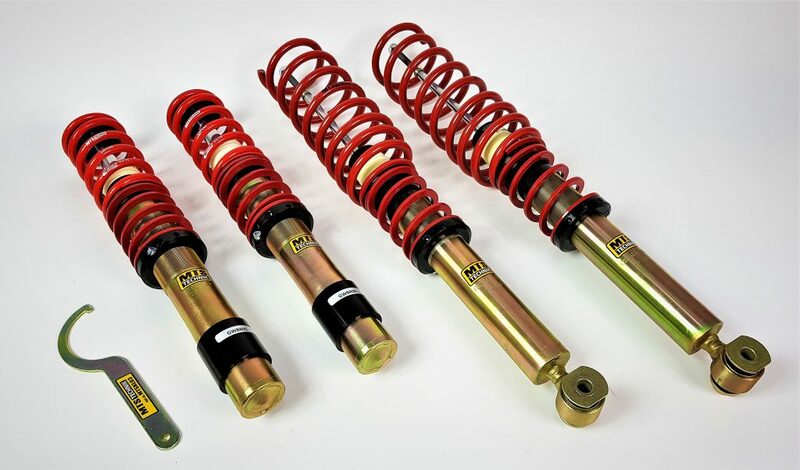 RetroRacer stood on MTS Technik coilover suspension. 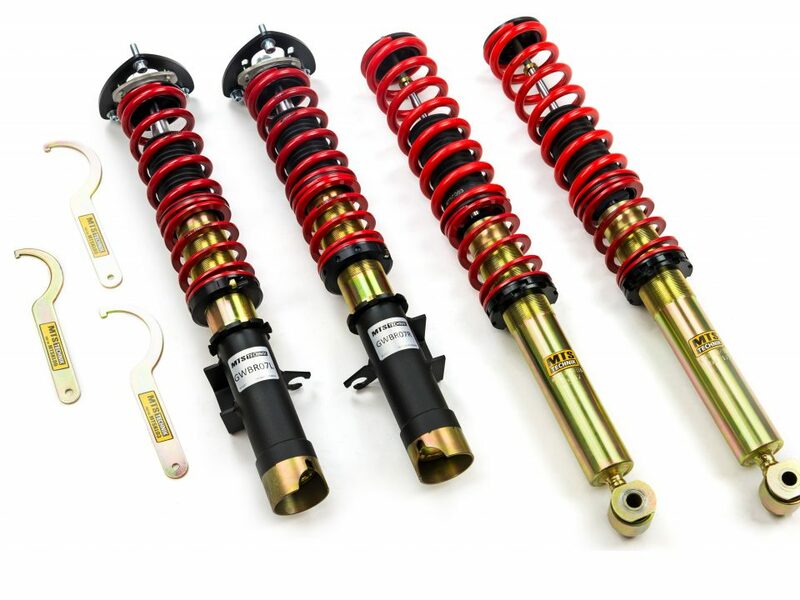 High-efficient construction of the struts is dealing with dynamic ride, even in a car which such absurd weight ratio. Stiff characteristic suits into the main theme of the whole project. 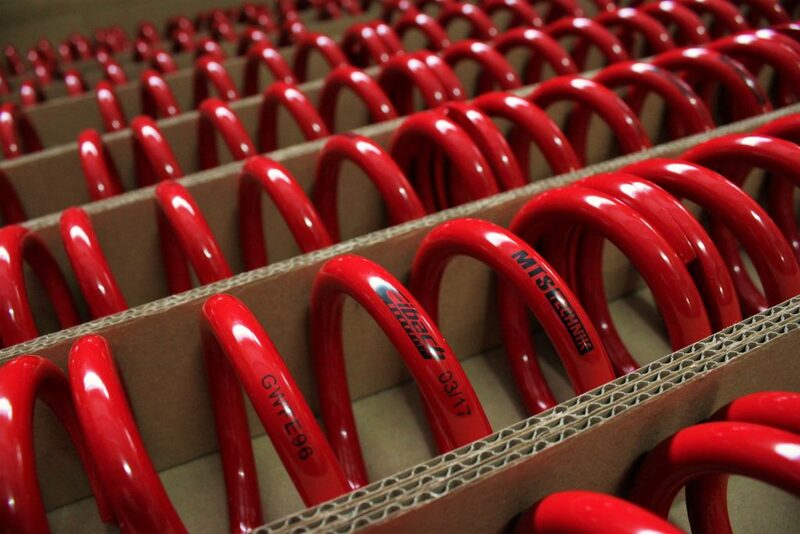 And Eibach springs are standing for full utility during normal use on public roads. The comfort of height adjustment was improved by hexaCOIL spring perches. 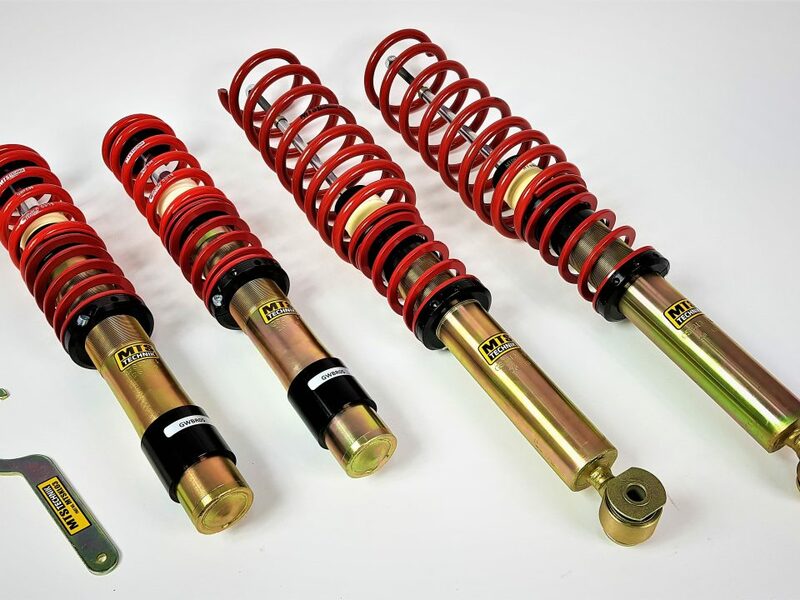 Innovative idea was supposed to solve the biggest problem of coilover suspensions, when spring perch stops and won’t move. This one little thing has often ruined the whole fun of riding a lowered car. New MTS Technik concept made this issue disappear. 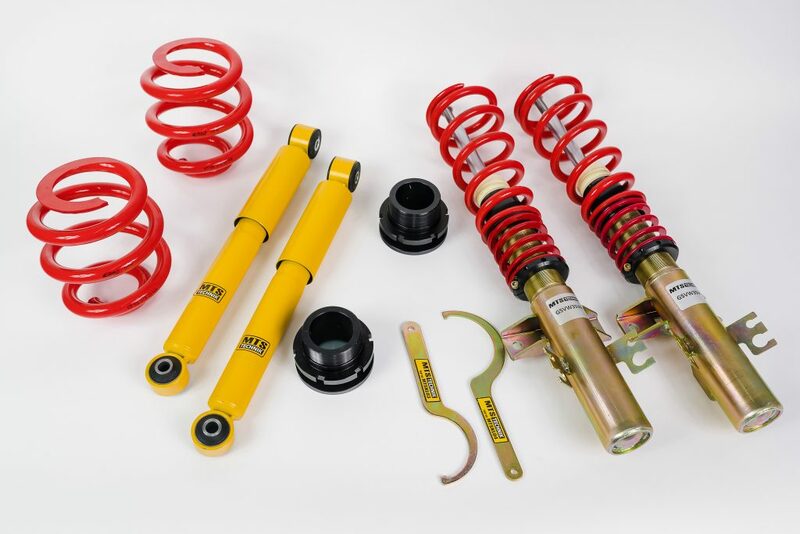 Yellow Golf shows that bright colour, advanced mechanics and stunning wheels need one detail that puts everything together – coilover suspension. 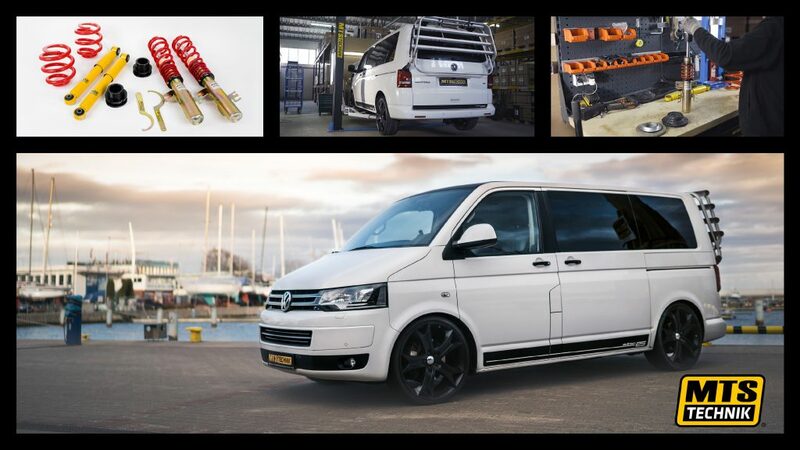 It guarantees good appearance and lots of fun generated on the road.